Warning: Spoilers for the Ark of Time DLC and Gravity Rush 2’s main story below! Having finished the Ark of Time DLC, there’s certainly a lot that can be said about its ending. In a nutshell, Raven agrees to erase her past self, Sachya, and her memories of Zaza and the children in the Ark. In doing so, the accident never happened and Zaza and the rest of the children were saved. How this works is not made clear, as it introduces a number of plotholes. 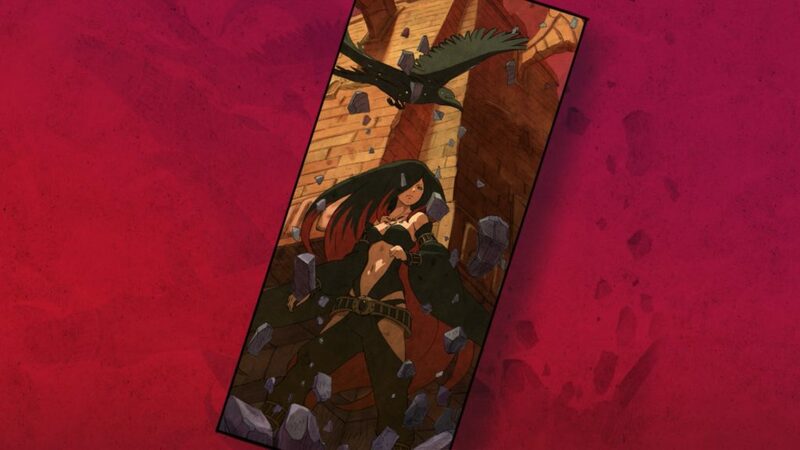 How Raven could still be there if she was never born as Sachya isn’t explained, and it also means the events of the first Gravity Rush didn’t happen the way we remember them. It leaves us with a lot questions that may be impossible to answer at this point, but that’s something better reserved for a different article. For now, I’d like to focus on the ending of the DLC in particular, which includes a neat easter egg from the Gravity Team. The Gravity Team did end things on a happy note for two characters who seemed to have been forgotten about. In an earlier article, I wrote about Singlor and Nala, whose fate was left unclear. I was hoping to see them again in the DLC, but I didn’t actually expect it to happen. It turns out they actually do make a brief appearance in the background of the final image. The couple can be seen together again, apparently having made it back to the real world. It’s not explained how they made it back, but it’s perfectly possible that with history rewritten, the experiment might never have happened in the first place either. Regardless, it does provide closure for one of Gravity Rush 1’s more important side quests, and I’m thankful to see the developers included this in the ending! There’s certainly a lot more that can be said about the events that occur in the DLC, but I’ll probably reserve that for a different article. If you finished the DLC, feel free to let me know your thoughts in the comments! Singlor and Nala can be seen in the background. Previous PostThe Ark of Time – Raven’s Choice Available Now on the PlayStation Store! Please keep doing these articles! I love this franchise but the plot is insane, and you help make sense of it. Have you tried playing the PS2 games Seiren? There are easter eggs in GR from it on the church steeple and fish fountain but I think it could have answers to GR because it has a reality warping god alien thing. Thanks, I’ll be writing more about the plot of the DLC later on, so stay tuned for that! I haven’t played Siren, although I do know Keiichiro Toyama worked on the series prior to working on Gravity Rush. I didn’t even notice the lovers in the background. Thanks for these articles, it helps me to understand things i thought were rushed (^^). With your articles i discovered that the grandfather is Zaza, his imaginary Friend disappeared, and that’s awesome !